Strange creaks and the sound of footsteps. Things mysteriously falling from tables. Unexplained lighting problems during performances. Are they the effects of an old building, or the sign of a supernatural presence in Schwab Auditorium? "The presence at Schwab, his name is 'Schwabo' as we call him around here," says Penn State Thespians member Matt Schiffman. Legend has it a spooky spirit found its home in Penn State's Schwab Auditorium. Centre County Report's Olivia Hogan talks with Schiffman about the experiences students have had over the years in the auditorium. 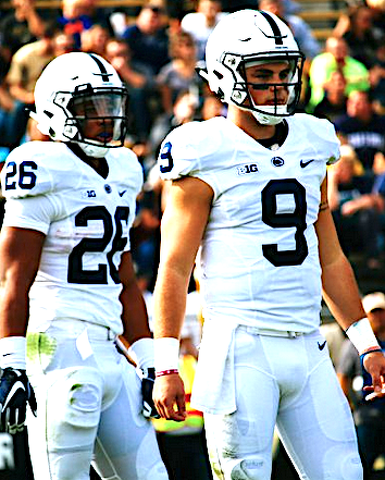 Penn State’s offense ran off 62 points here against Purdue on Saturday. In 63 plays. Purdue? 24 points, 81 plays.